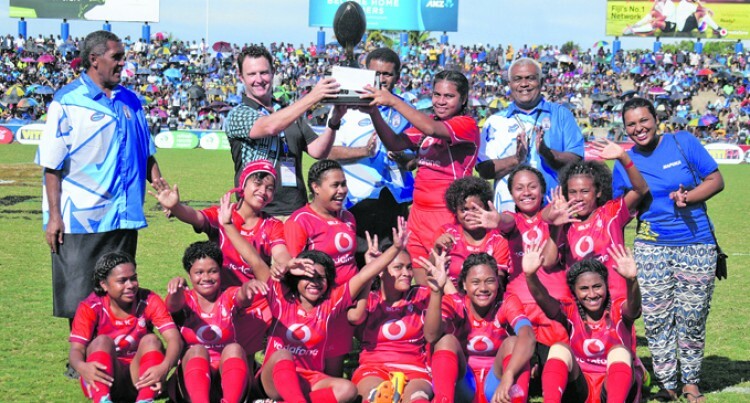 Napuka Secondary School players celebrate winning the Under-19 Girls 7s title at the ANZ Stadium, Suva on August 11, 2018. Photo: Ronald Kumar. We fundraise for our boat fare and also gave $50 each, says captain. The side defeated Sacred Heart College 20-19. Napuka 7s captain Losalini Meresiana thanked her players for the victory. Meresiana added that despite the challenges faced during their preparation they were able to maintain their momentum throughout the com­petition. “Our preparation towards this competition wasn’t easy.